I first met Heather and her dogs in the fall of 2012. 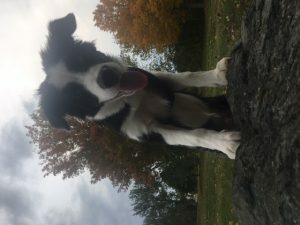 I had been on line looking for Border Collie breeders for a few months and kept coming back to Heather’s website to look at her beautiful dog photos. When I contacted Heather to say that I would like to meet her and her dogs there was no hesitation. I went to her farm in November 2012 and met her and her dogs. I was impressed right from the start. Heather was friendly, knowledgeable, and her dogs were lovely. 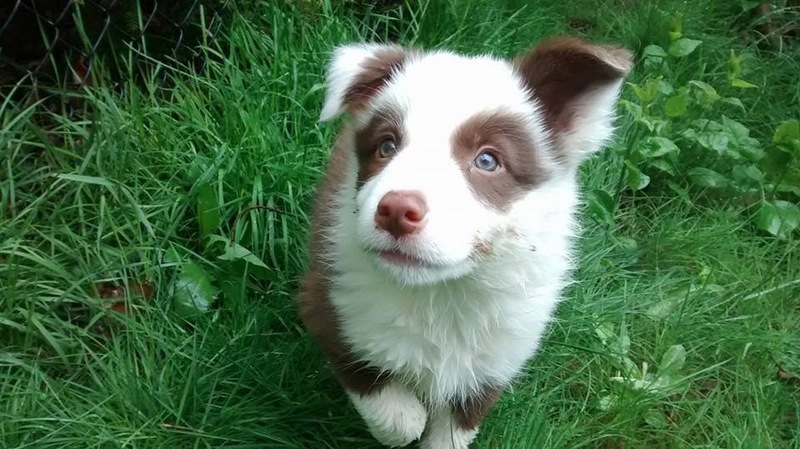 We got our first Border Collie, Bob, at the end of May in 2013. He was a complete joy right from the start and now that he is two years old, he is a lovely adult boy, sensitive, smart, loving and fun. He loves to work and play. Our second Border Collie from Heather came along in May of 2014. His name is Pete. His mother and Bob’s mother are sisters. Pete is a fun-loving guy. He is also smart, agile and loves to work. My husband and I live in a city. I am a Veterinarian in small animal practice. 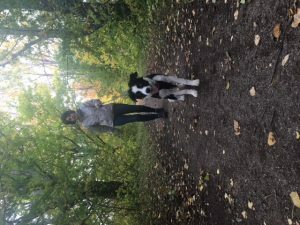 People always say to me, oh my, don’t your Border Collies drive you crazy because Border Collies are hyper aren’t they? 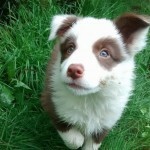 To which I answer, Heather has picked out both of our puppies to suit our situation. She knows we like to do a lot of hiking with them but that we want the dogs as pets and that we live in a city. 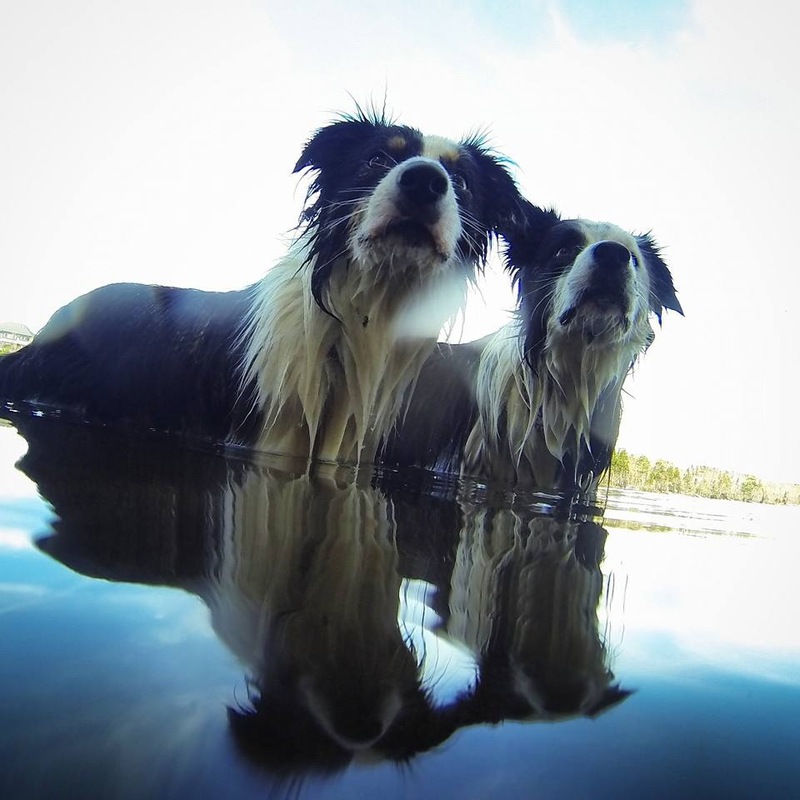 They are active dogs but they are thinkers. They are not silly dogs. 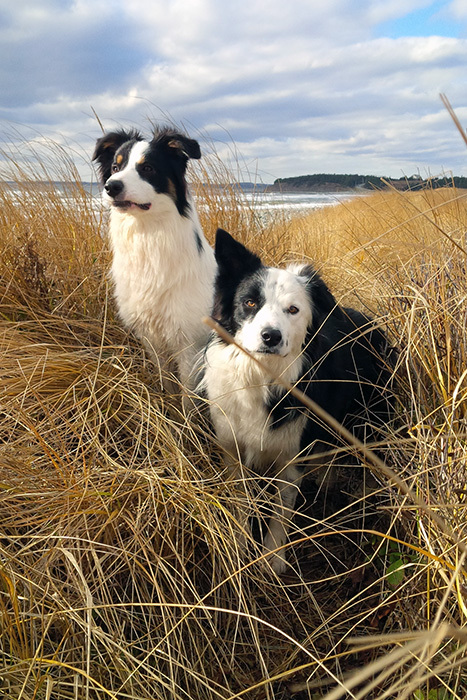 They are sturdy, hardy, smart, kind, loving dogs. I have also started learning agility with both Bob and Pete and they both excel and love the sport. 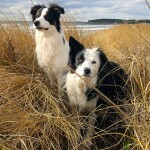 We love Heather’s dogs and feel very fortunate that she has trusted us to be guardians for Bob and Pete. We could not have asked for nicer dogs and we feel we are very fortunate to have met Heather. We are currently awaiting our third puppy from Heather. I can’t say enough good things. We keep in touch and Heather is always happy to see pictures of the boys and find out what they are up to. Thank you Heather for our awesome dogs! We can’t imagine our lives without them! 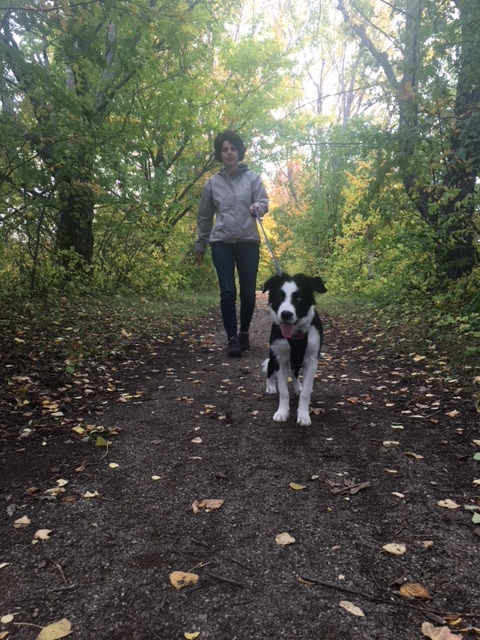 Heather, my son Mark adopted one of your dogs in July, 2018. We named him FLASH, because we thought the name suited the breed. 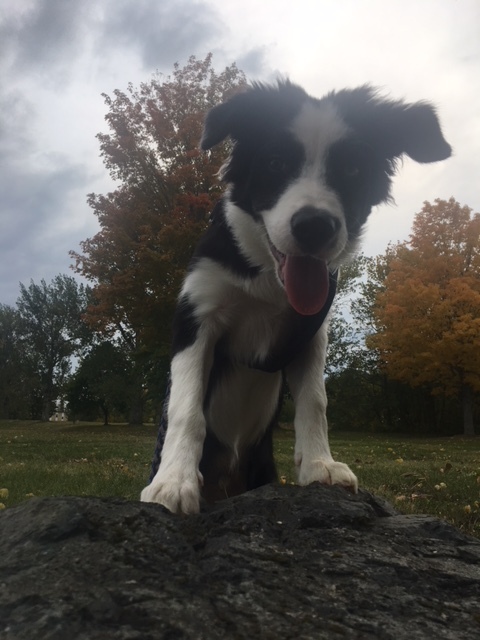 I was hesitant to allow a border collie into our home, since we live in a small city with a small yard. However, Flash fits right into his new home and has adapted beautifully. We live near a huge track/soccer field which he visits everyday. All of our neighbors love him, and I have heard many comments about how well behaved and social he is. 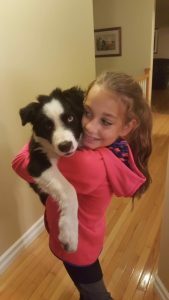 Although he has the agility and speed that is typical of the border collie breed, he has a calm demeanor about him that I am sure he inherited from his parents and his early weeks under your wing. Thank you Heather for your wonderful dogs. 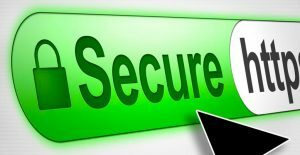 I am 50 years old, and I thought my family rearing had come to an end. Now, I have Flash. We love him dearly!